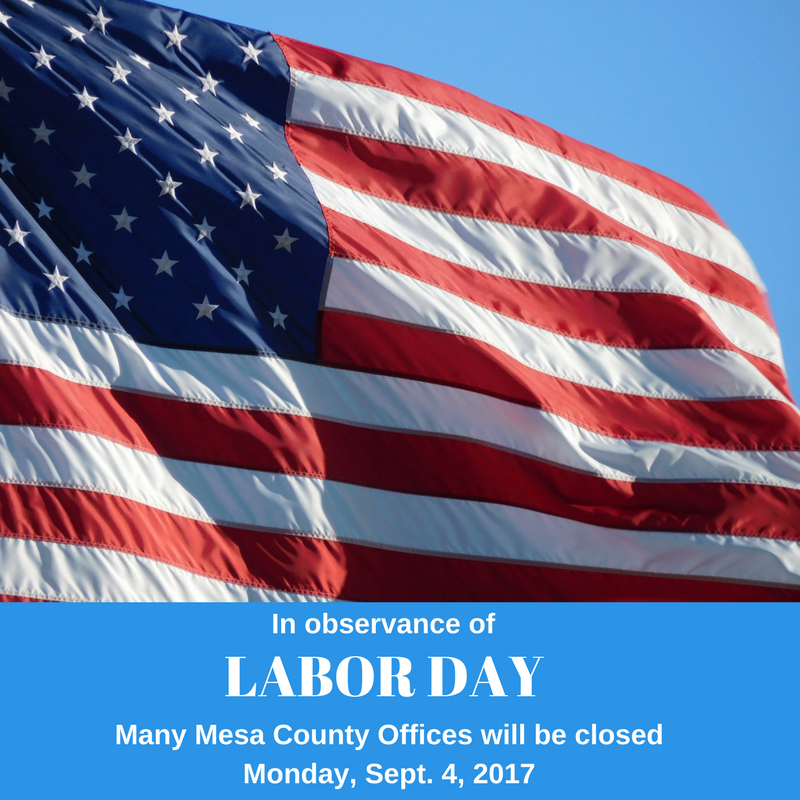 Several Mesa County offices will be closed Monday, Sept. 4, in observance of Labor Day. This one-day closure does NOT include the Coroner’s Office, Criminal Justice Services, or emergency functions of the Sheriff’s Office. Animal Services will be open from 11 a.m. to 1 p.m. Animal Services (971A Coffman Road) will be open from 11 a.m. - 1 p.m.